This entry was posted on April 25, 2011 by Megan @ When Harry Met Salad. 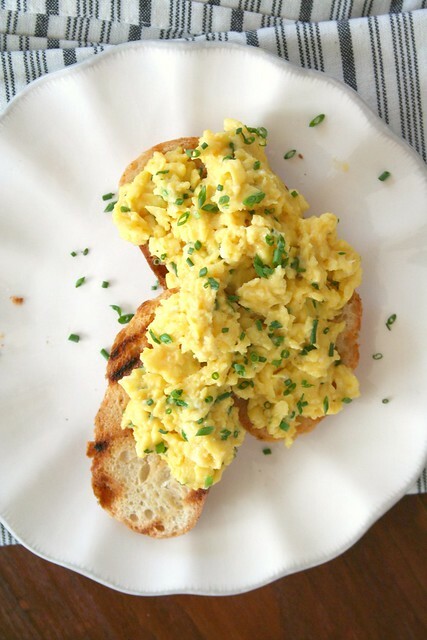 It was filed under eggs, dairy, & cheese and was tagged with breakfast, eggs and chives, slow scrambled eggs. Looks and sounds fantastic!! How great that you found an unexpected treasure in your garden. What gorgeous photos….so inspiring! Can’t wait to see what other unexpected gifts will appear in you garden as it continues to warm up – you just never know. Today I noticed lovage, mint, and asparagus. Asparagus! Be still my beating heart. 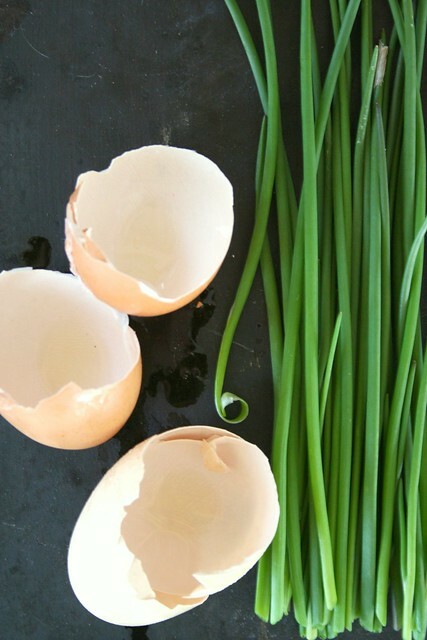 I have some neglected chives myself, and a dozen farm eggs coming on Thursday. Thanks for the inspiration! Gorgeous photos. I made this for a breakfast guest last friday – delicious! Cooking the eggs slowly really makes a difference. Donna & Diane & Clare: Glad you enjoyed the recipe. Slow cooking, while admittedly slow, makes for some pretty amazing eggs. Hi, Sheila! Thanks for your visit and for the award. So kind! 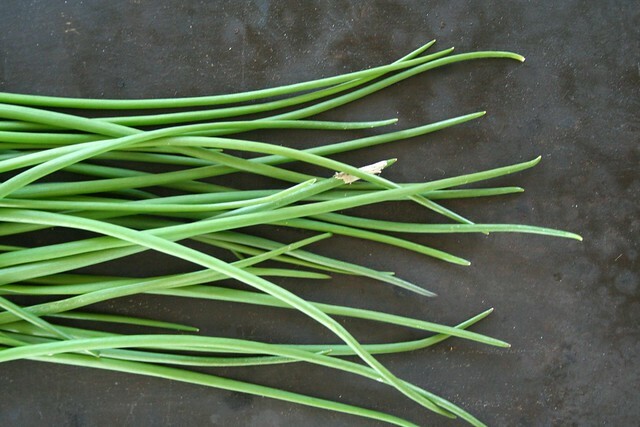 I don’t often venture outside in my pajamas, but I was distracted by the chives. Just discovered your blog through Sheila’s blog. Had to check it out because of the name!! You have such beautiful photography! This sounds so good. 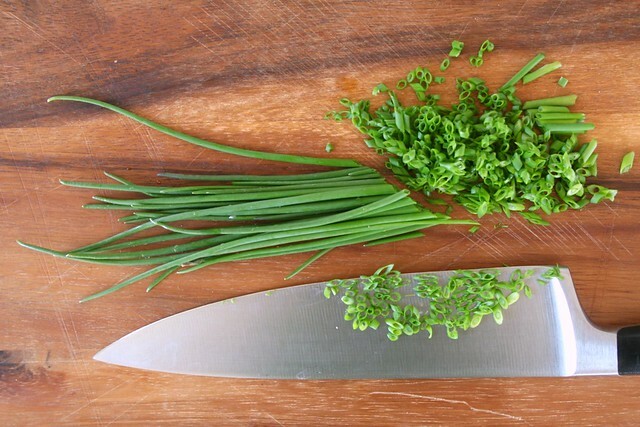 I’m planning on making it as soon as I can get my hands on some chives.